Renaming MP3 file names according to track number, artist and album stored in the ID3 tags. Renaming digital pictures file names according to date stored in the JPEG EXIF tag. Using casing, spacing and trimming filters to beautify a group of file names. Using FreeDB Filter to change file names and ID3 tags according to freedb.org music archive. Magic File Renamer Video Tutorial done by Softoxi.com. 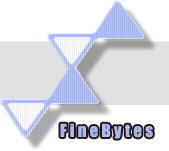 Copyright © 1999-2019 FineBytes. All rights reserved.